Need some help knowing what to get the baker in your life? 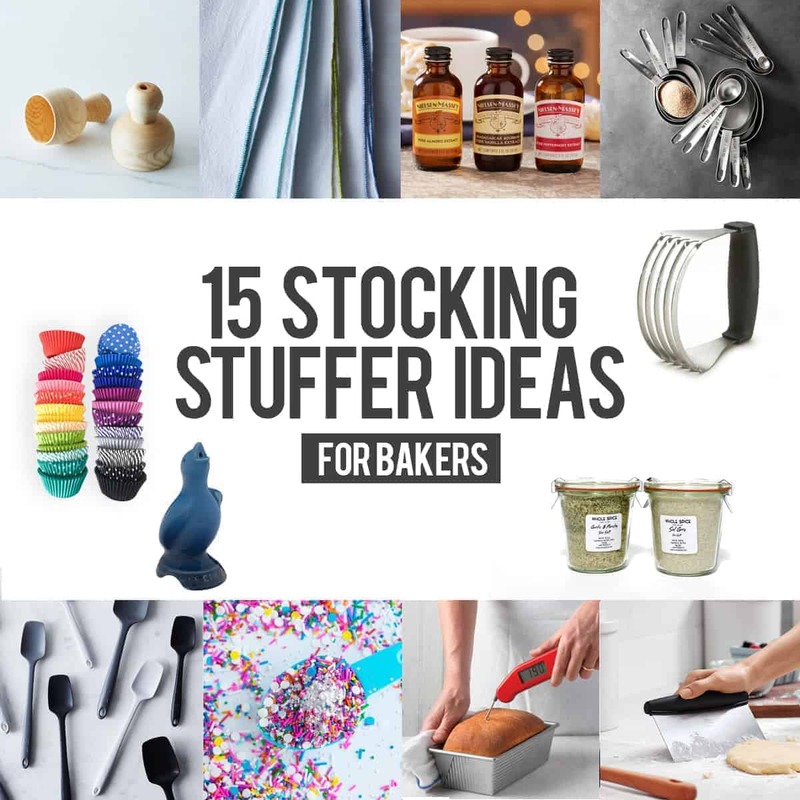 Check out these 15 stocking stuffer ideas, perfect for anyone who loves baking! Portions of this gift guide were sponsored by Nielsen-Massey Vanillas. Thank you for continuing to support the brands that make My Baking Addiction possible. I don’t know about anyone else, but I often find myself running around last minute trying to figure out what to put in my family’s stockings. Oh, the big gifts I usually have figured out well in advance. For some reason, those are the easier things to remember to get. But when it comes to the stockings? Well, sometimes I need a little help. In case you’re in the same boat, trying to figure out what to put in the stocking of a cook or baker in your life, I’m here to help. Enjoy these 15 stocking stuffer ideas; I can guarantee they’ll be a hit with your favorite bakers come Christmas morning. You guys already know that I love Nielsen-Massey and use their products in many of my baked goods. After all, you can’t run a baking website without using a lot of vanilla and flavor extracts. Their new Holiday Flavors Bundle would make a great stocking stuffer for any baker in your life. 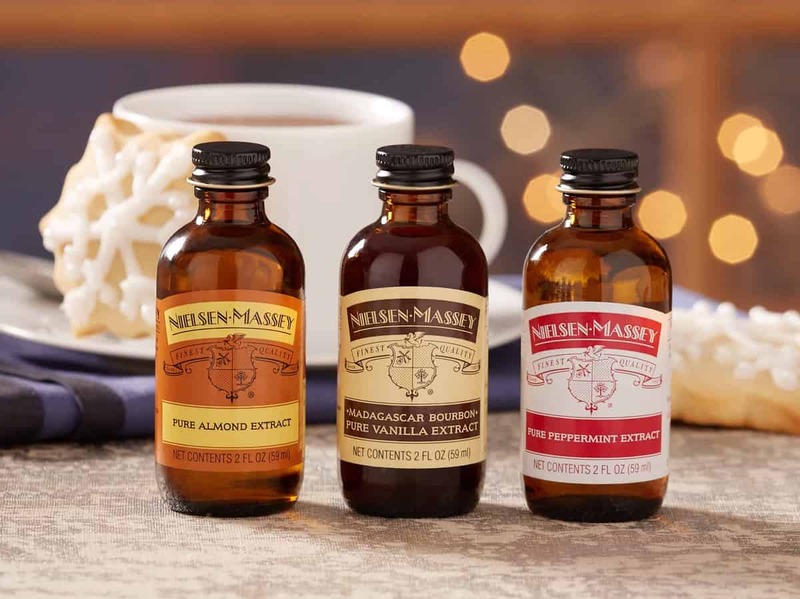 Complete with their Madagascar Bourbon Pure Vanilla Extract, Pure Almond Extract and Pure Peppermint Extract, this set features the perfect products for holiday baking and is available in 2-oz and 4-oz sizes at NielsenMassey.com. Psst! Want recipes to make use of some of these products? Check out my Cranberry Orange Bread and Mini Cherry Almond Cheesecakes. 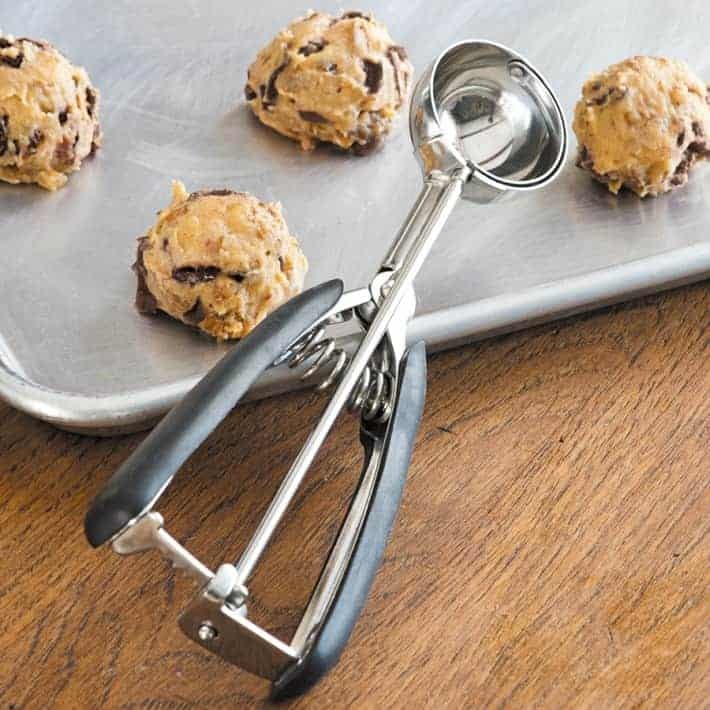 I am wholeheartedly obsessed with cookie scoops. Let’s just say I have a pretty decent collection going on. If your loved-one is a cookie making machine, I definitely recommend a medium size scoop. It will allow you to create perfectly portioned and even cookies with ease. I like these OXO Cookie Scoops with their comfortable handles. Since I bake a lot more than the average person, I’m also a bit of a measuring cups and spoons hoarder. And although I have a couple of plastic sets, I personally recommend metal measuring tools because they’re durable and hold up great in the dishwasher. My friend picked up a jar of Whole Spice’s grey sea salt during a trip to San Francisco and let me tell ya, this stuff is amazing. Use it to finish off anything from Mini Salted Caramel Chocolate Pies or simple roasted vegetables. 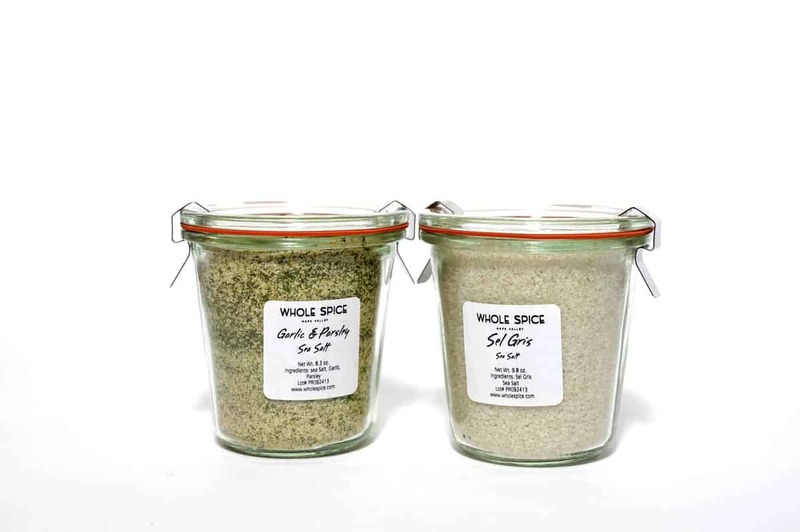 I like this gift set with Garlic Parsley Salt and Sel Gris for double the flavor – they even come in Weck jars. What cook wouldn’t love that? What baker doesn’t love sprinkles? 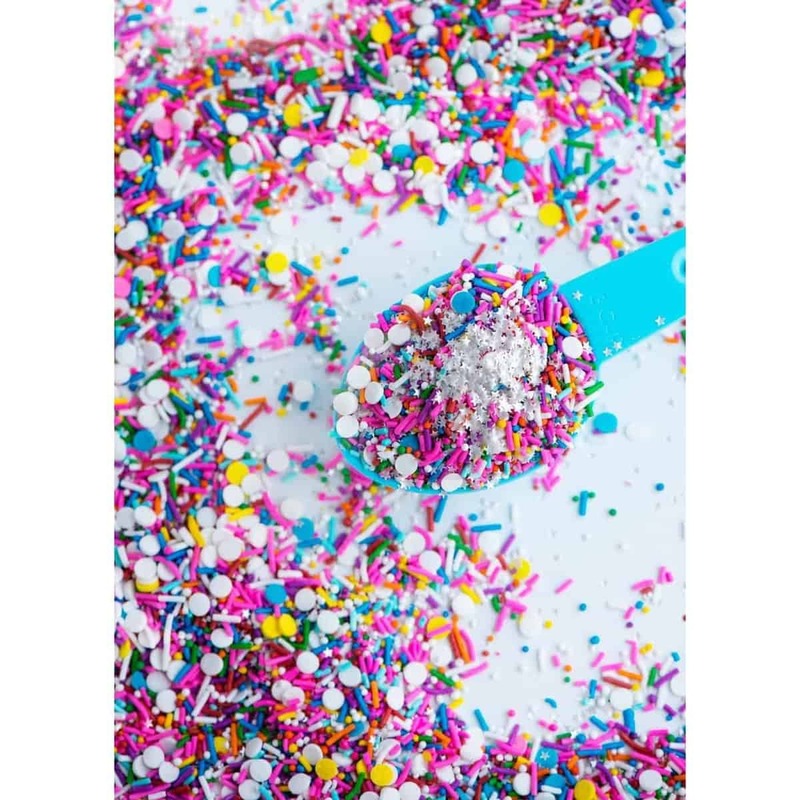 From custom blends to simple sparkling sugar, any baker is sure love a few bottles of colorful sprinkles or jimmies tucked into their stocking! Sweetapolita has tons of beautiful blends, as does Fancy Sprinkles. 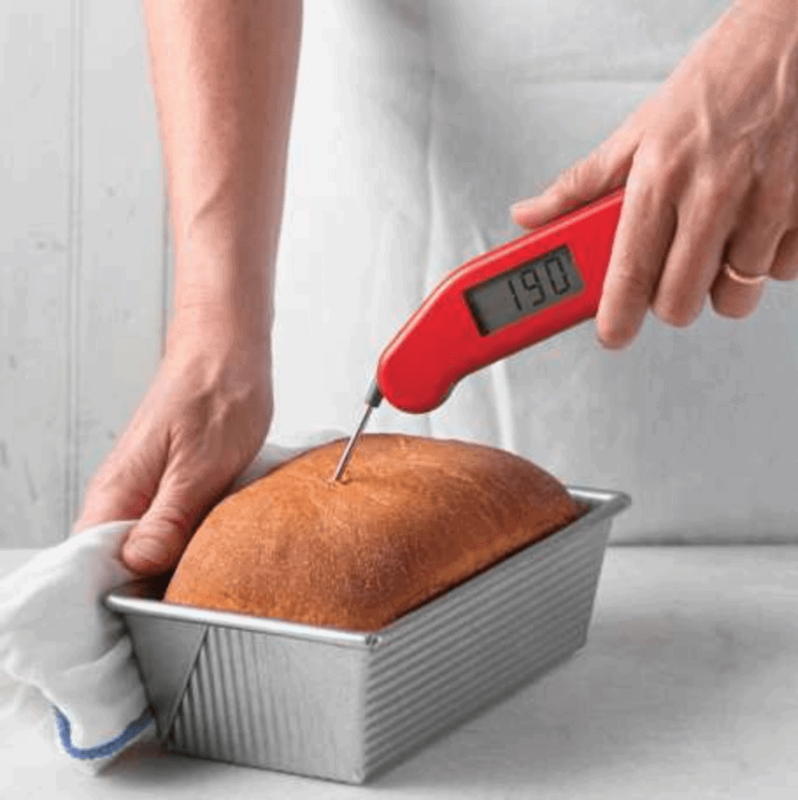 Whether you have a loved one who is into grilling, baking bread, or making candy, an instant-read digital thermometer is going to be their best friend. I love my Classic Thermapen for its speed, accuracy, and the fact that it takes up minimal space in my drawers. If you have a friend who bakes a lot of scones, biscuits or pies, a really good pastry blender is a tool they can’t live without. I use mine all of the time – it just makes it so much easier to work butter or shortening into my dry ingredients to get that perfectly flaky texture. Trust me when I say that you can never have enough silicone spatulas – especially if they’re in beautiful hues! From scraping the sides of your mixing bowls to folding candy pieces in brownie batter, silicone spatulas are a must have in any kitchen. I like this Gir Silicone Spoonula set because they’re all one piece, so there’s no weird nooks and crannies to have to keep clean. From whisking together dry ingredients for Pumpkin Bread to mixing up the custard for Pumpkin Creme Brulee, a whisk is never far from my reach. You can never have too many whisks! 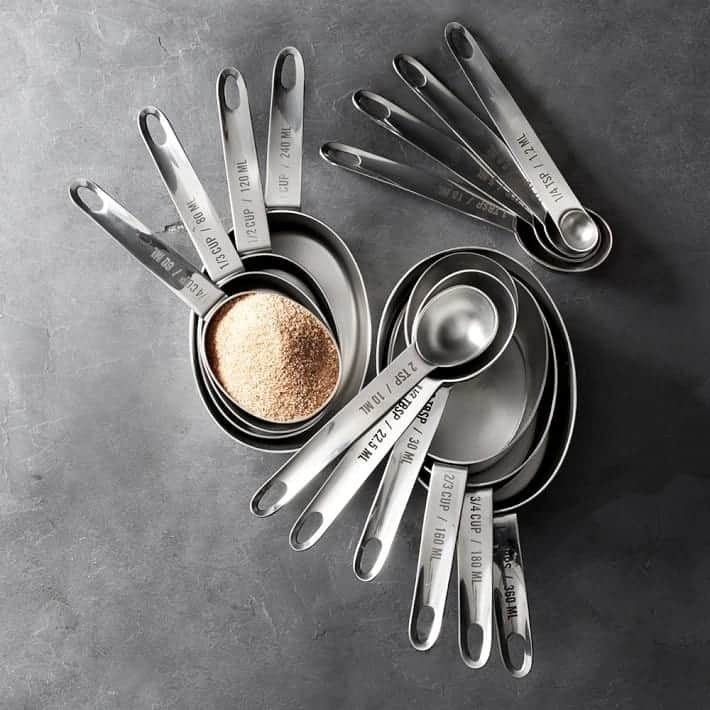 The Gir Silicon Grip Whisk Set is a dream come true with its lovely handle and two whisk sizes. 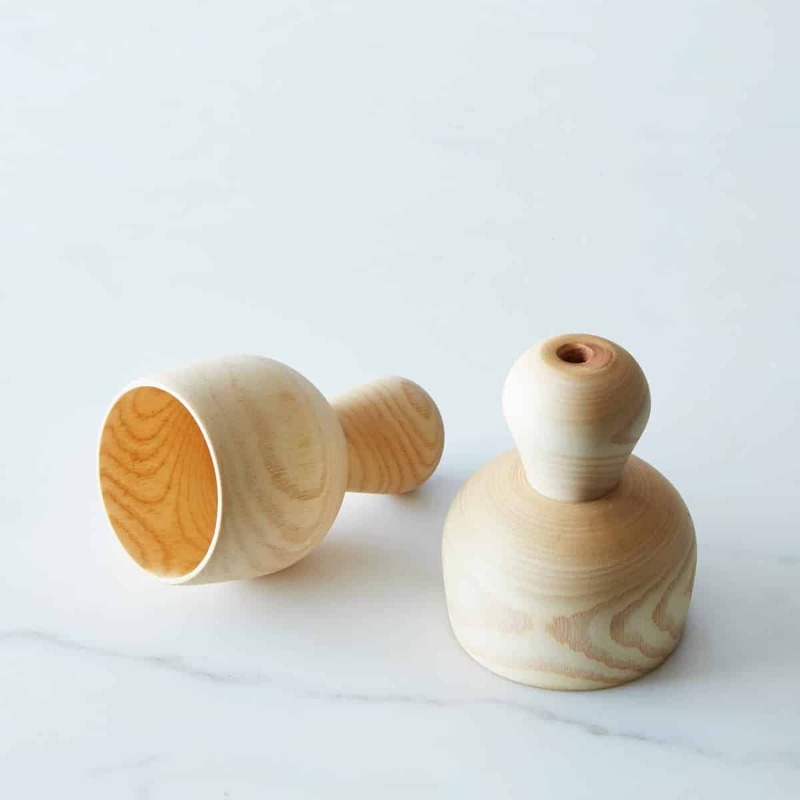 Anyone who enjoys making biscuits or scones will love this beautiful Wooden Biscuit Cutter. It’s every bit as beautiful as it is useful. In fact, I keep mine on the windowsill above my sink – who says that biscuit cutters can’t be part of your kitchen decor? Cookie cutters always make a fun stocking stuffer for anyone who likes to make cut-out sugar cookies. The best part is that they come in every shape you can think of, so you can match them to your loved one’s favorite things! 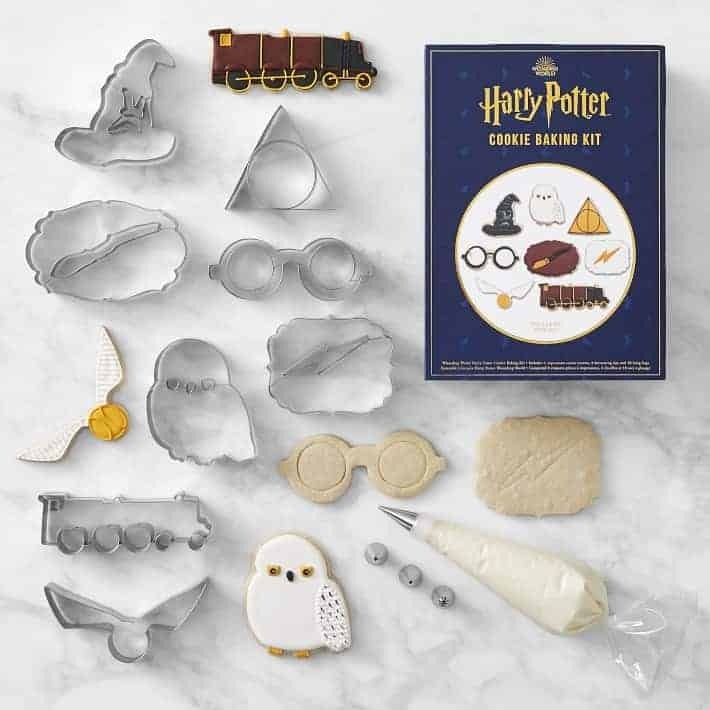 I think this Harry Potter cookie cutter set would be perfect for some of my friends, and this woodland creature cookie cutter set is adorable for any animal lover. Pie birds might seem a bit old fashioned, but I think they’re a beautiful way to vent a fruit pie. They’re pretty enough to keep out on a counter when you’re not using them. 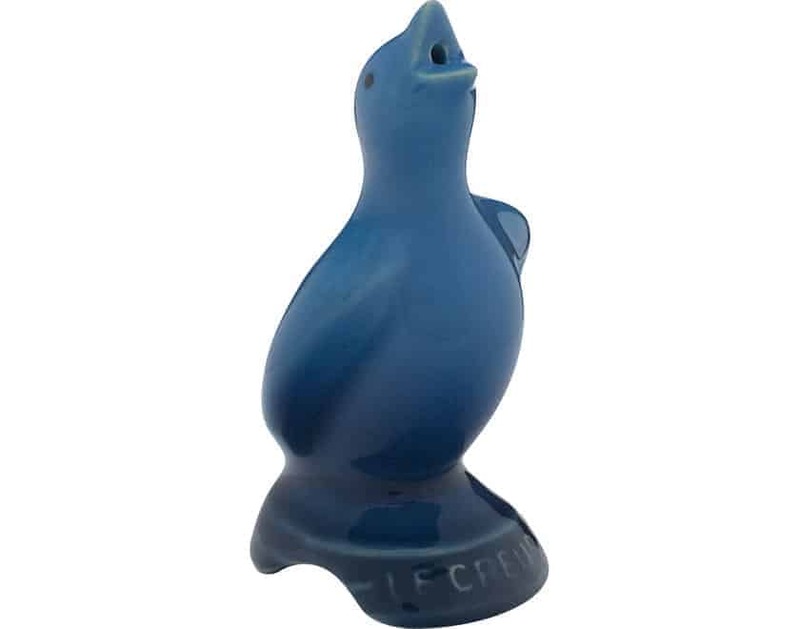 I like this Le Creuset Pie Bird because it comes in plenty of beautiful colors to match anyone’s kitchen. Kitchen towels are one of the most useful things to have on hand. I use them for everything from covering dough while it rises to rolling up Pumpkin Rolls to simply wiping down my countertops. Flour sack towels are some of the most versatile kitchen towels because they are lint-free. 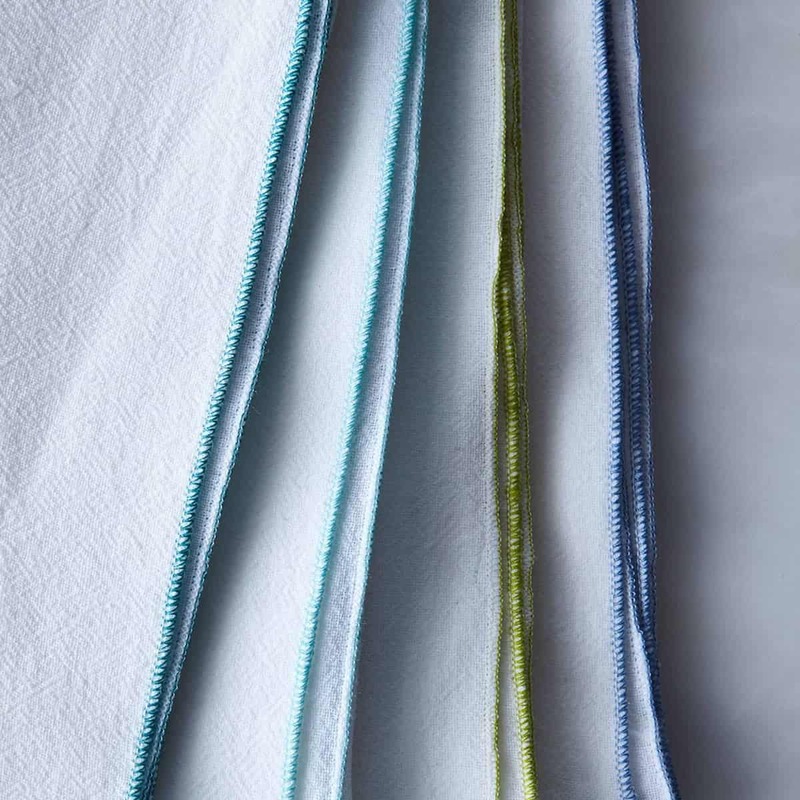 Most flour sack towels aren’t that pretty, but I love these flour sack towels from Food52 – the contrasting edge makes them just a bit more special. A good bench scraper is worth its weight in gold, okay? 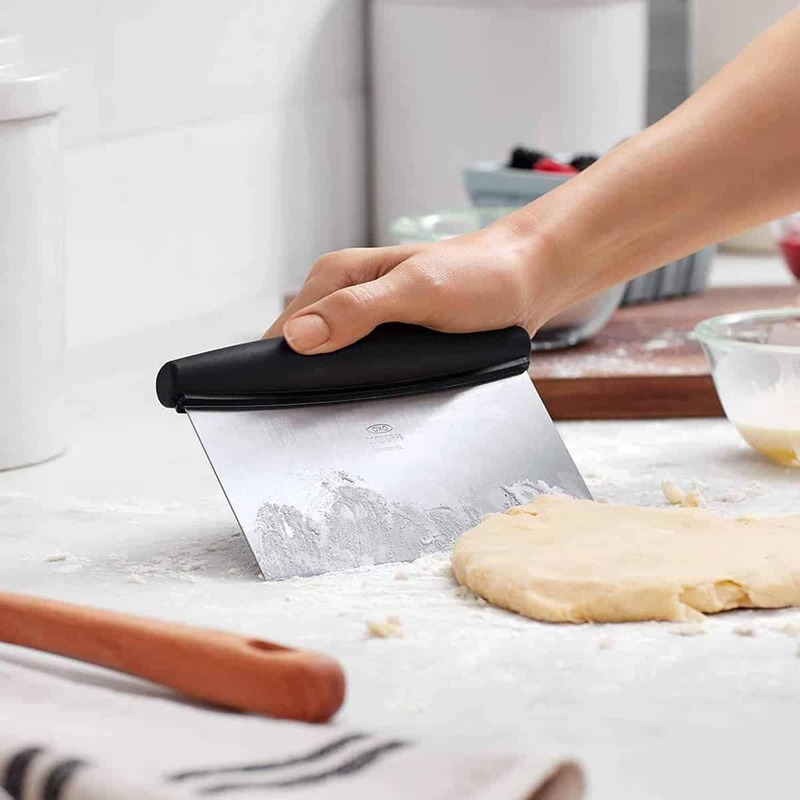 I like a multipurpose scraper – they’re great for cutting dough, scooping diced vegetables into a pan, scraping off countertops, and about a million more things. 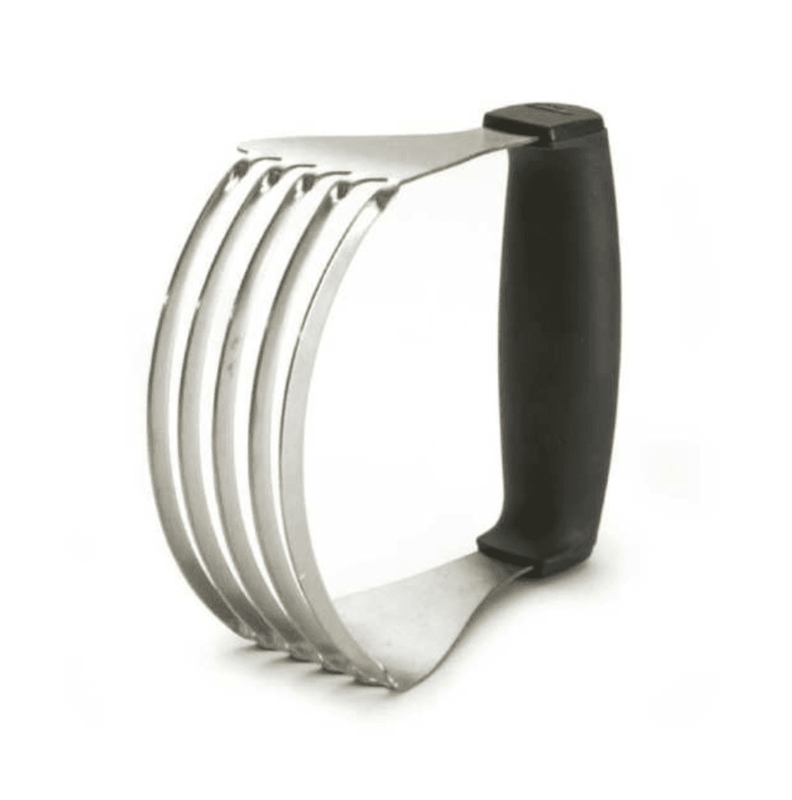 This OXO Multi-Purpose Stainless Steel Scraper and Chopper even has quarter-inch markings for quick and easy measuring. Fancy, right? I love beautiful cupcake liners, but sometimes feel weird splurging on them for myself. 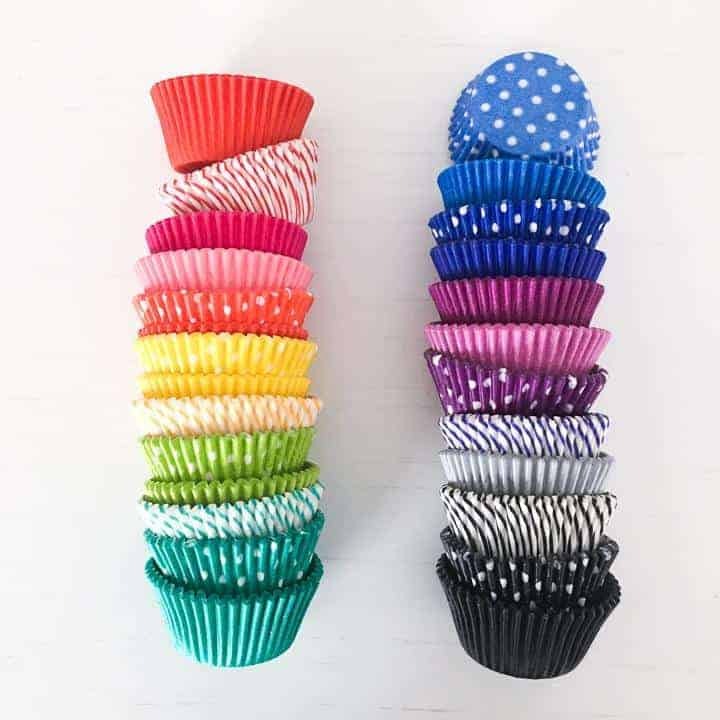 I’d love to get cupcake liners in my stocking, and I bet any baker in your life would, too! Shop Sweet Lulu has an entire rainbow of cupcake liners and Confectionary House has almost any pattern you can think of.